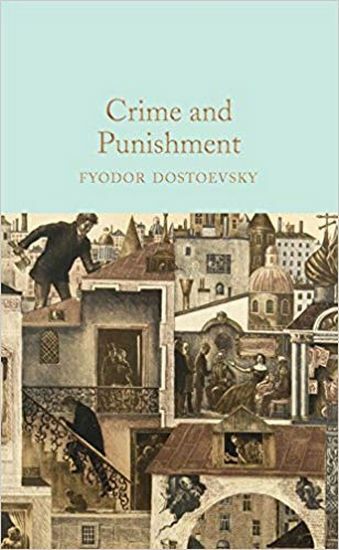 A towering classic of Russian literature, Fyodor Dostoevsky's Crime and Punishment is a compelling story of a brutal double murder and its aftermath. An impoverished ex-student, Rodion Raskolnikov, kills a pawnbroker and her sister, apparently for financial gain. But as he encounters friends and family, strangers and adversaries, Raskolnikov is compelled to face the true forces that have led him to murder. His struggle with himself and those around him becomes a battle of the individual against society, radicalism against tradition, and ultimately the will of man against the mysteries of divine providence. A sensation in its day, Crime and Punishment has left an indelible stamp on the world of literature. This beautiful Macmillan Collector's Library edition of Crime and Punishment is translated from the Russian by Constance Garnett, with an afterword by Oliver Francis. Designed to appeal to the booklover, the Macmillan Collector's Library is a series of beautiful gift editions of much loved classic titles. Macmillan Collector's Library are books to love and treasure.